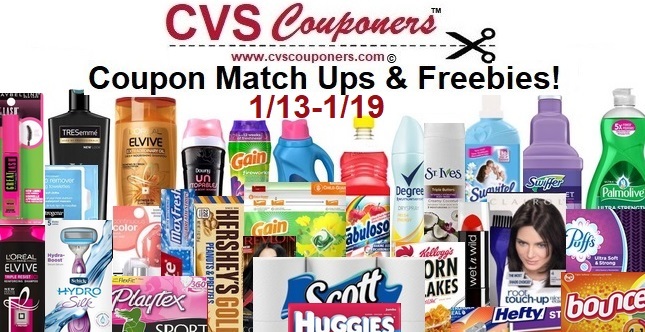 Here is your weekly CVS Coupon Matchup Deals and whats free this week 1/13-1/19! This week we got 10 Coupon Freebies and over 80 Coupon deal Ideas for you. Check them out. 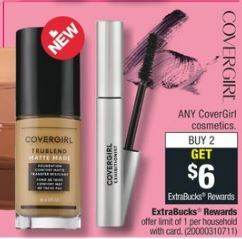 If you already used up your CVS instant coupon try deal below, Pay $0.50 each. Total=FREE + $1.02 Money Maker! USE (1)$1/1 Playtex sport or simply gentle glide tampons excluding 3, 4, and 8ct (LIMIT 2), 1/6 SS #2. SUBMIT for (2)$2/1 Caress Shower Foam for any variety, 13.5 oz. bottle (LIMIT 5) (Various Stores), Ibotta Rebate. 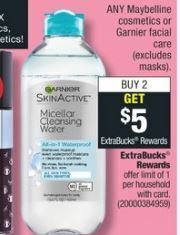 Garnier Nutrisse hair color – $8.49 ea. Loreal Paris Ideal Clean Makeup Removing Facial Towelettes 25 ct. – $4.99 ea. Neutrogena makeup remover cleansing towelettes 21 ct. – $6.49 ea. Garden of Life protein powder 16.1-23.1 oz, vitamins or probiotics 30 ct.
Pampers baby wipes 56-320 ct. or Pure diapers 20-35 ct.